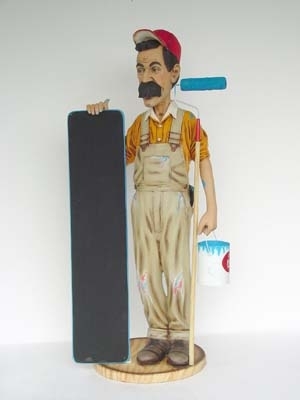 Our Painter Decorator Figure with Menu Black-board is a great model to use to promote a DIY store or your decorating business...especially if used with our Carpenter model (JR 1877). 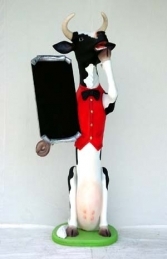 This fabulous character of a Painter Decorator with Menu black-board is great ot use to promote a D.I.Y. or decorating business. The model comes with the paint tin and roller, but this model has been successfully transformed by customers to become different types of work-men including plumbers and chimney sweeps.